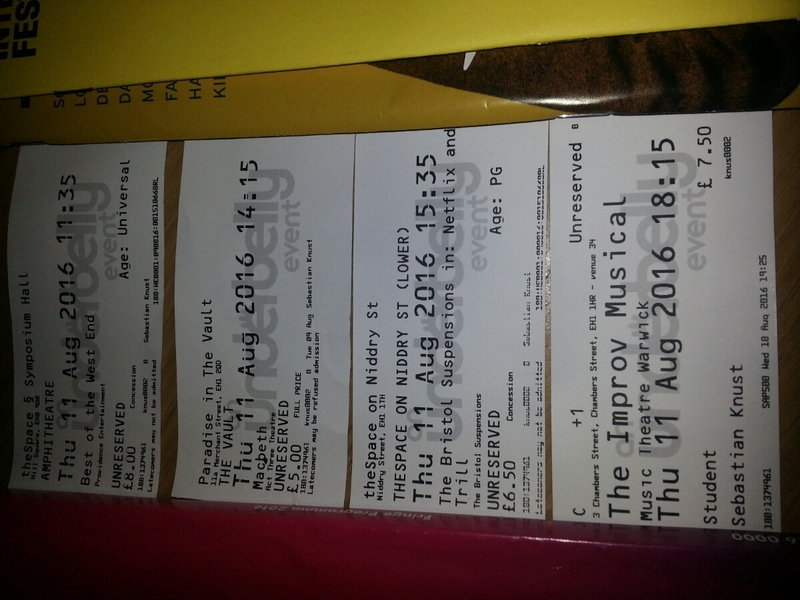 Today was spent entirely on foot in Edinburgh for a total of four shows of Edinburgh Fringe Festival. Macbeth was an adaptation taking place inside a youth prison using (portions of) the original text (All hail, Macbeth! that shalt be king hereafter) - portions meaning that some scenes were cut but - as far as I can tell - no new text was added. The setting may need some time to get used to, but the performance of the three young guys was just so powerful... I was left speechless, the standing ovations by the whole audience (just 30 people, it was a very small venue) was well deserved. 5/5! I also had the opportunity to explore Edinburgh a bit more. I would probably need at least a full week to do that properly and to see all the shows I am interested in. Game of Thrones musical (sold out) is just one example. It is also quite interesting to notice that the Museum of Scotland is completely free. Unfortunately it closes at 17:00 so I could only catch a half hour glimpse. 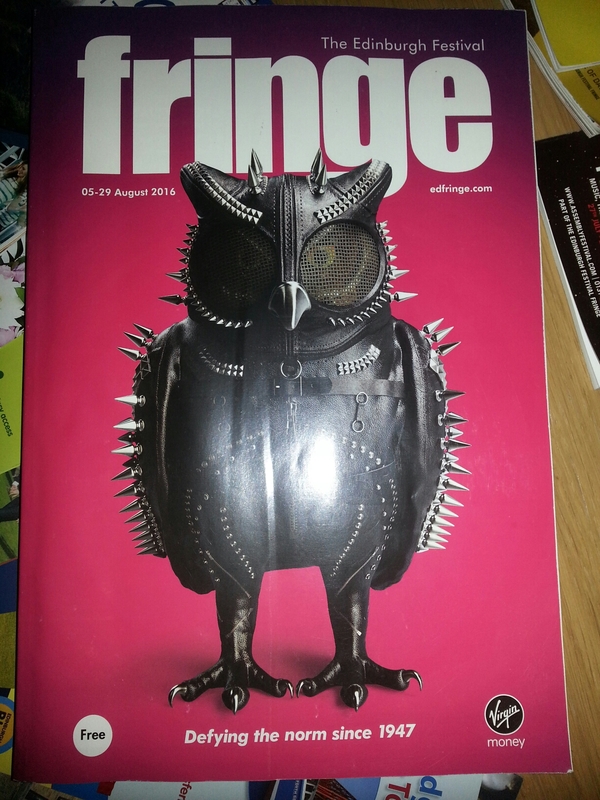 This is it from Edinburgh. Tomorrow I will be heading up into the Highlands to Drumnadrochit right next to Loch Ness where I will be spending a week. I will use that as a base of exploration for day trips all throughout the Highlands and also to Skye. As far as I know there will be no WiFi at my next apartment. I will probably try to buy a week pass for mobile data access but since my mobile did not manage to sign into the UK data network yesterday I do not know whether I will be able to update this blog regularly. The next update should definitely come on Fri Aug 19.